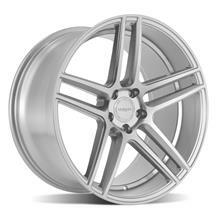 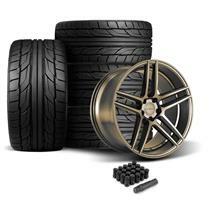 Shop Late Model Restoration for the best selection of 2005-2009 Mustang Velgen Split 5 wheels! 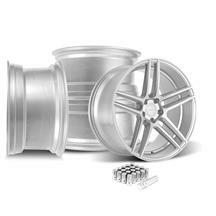 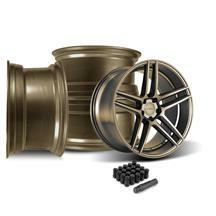 Transform the exterior of your ride with a set of 2005-2009 Mustang Split5 wheels from Velgen! These wheels are designed using a split 5 star concave pattern, which provides an exceptional look unlike any other wheel out there. Velgen's race-inspired design is combined with tasteful styling to elevate your S197 to another level. 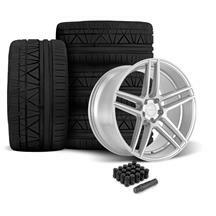 The 20x9 and 20x10.5 sizes fill out your wheel wells, while also clearing Brembo brake packages, as well as provide improved traction. Velgen Split5 wheels are available in matte gunmetal, matte silver, satin bronze, and satin black finishes that look great on any color Mustang! 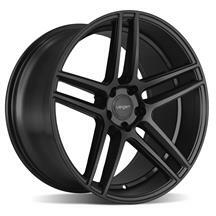 Shop our selection of Mustang Velgen Split5 wheels below!